Every effort is made to ensure that the information provided on this website is accurate and up to date, but no legal responsibility is accepted for any errors, omissions or misleading statements. There may be copyright on the images shown. The St Davids Hub is your link to the major institutions, associations, activities and societies in the area, and is organised by the St Davids Community Forum. 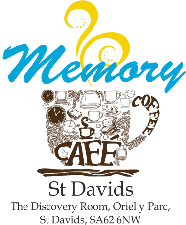 The Cafe takes place from 2:00pm on the first Wednesday in each month in the Discovery Room at Oriel y Parc. 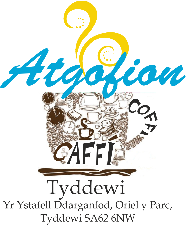 Click on the logo on the right which will take you directly to the Café page, or it can be accessed through the Local Interest page. The Agenda can be accessed HERE a few days before the meeting. Minutes the last meeting can be accessed HERE a few days before the meeting. At the recent AGM, Paul Edey, the current Chair, announced that he will be stepping down, and we would like to hear from any member of the St Davids Community who are interested in taking on this position. Paul intends to remain on the Committee to look after the Marketing and e-activity role, and as such will remain in place to support a new Chair.